The promise fulfilled - BCH and BCHSV on CoinDeal! From now you can not only make deposits and withdrawals on wallets of the two mentioned above cryptos, but also you can try out your trading skills. We have decided to pair BCH (Bitcoin Cash ABC) and BCHSV (Bitcoin SV) with Bitcoin on our cryptocurrency exchange platform. We launched these two new markets to create you a perfect opportunity to earn money. As we wrote last week, BCHSV was the only cryptocurrency from TOP 10 on CoinMarketCap whose price increased! The good trader knows how to take advantage of this kind of movements on the market. 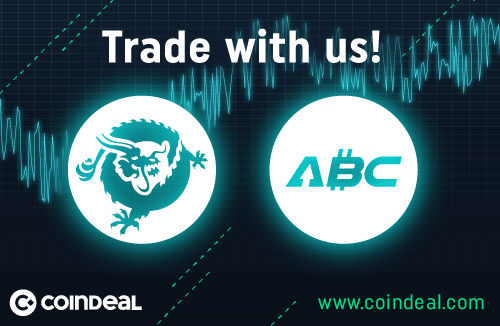 If you already have BCH or BCHSV in your private wallet, all you have to do is to transfer these funds to your CoinDeal’s wallet and start trading on new markets. If you don’t have these cryptocurrencies yet, it’s a time to purchase them with BTC.